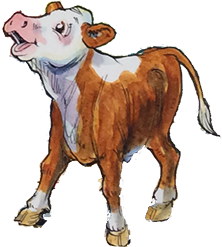 When a new red tractor named Daisy joins the team at Stony Meadow Farm, she has trouble adjusting to the many different chores that must be done. Can she do all of the work on her own? Luckily, with the help of everyone on the farm, Daisy thinks she will fit right in! 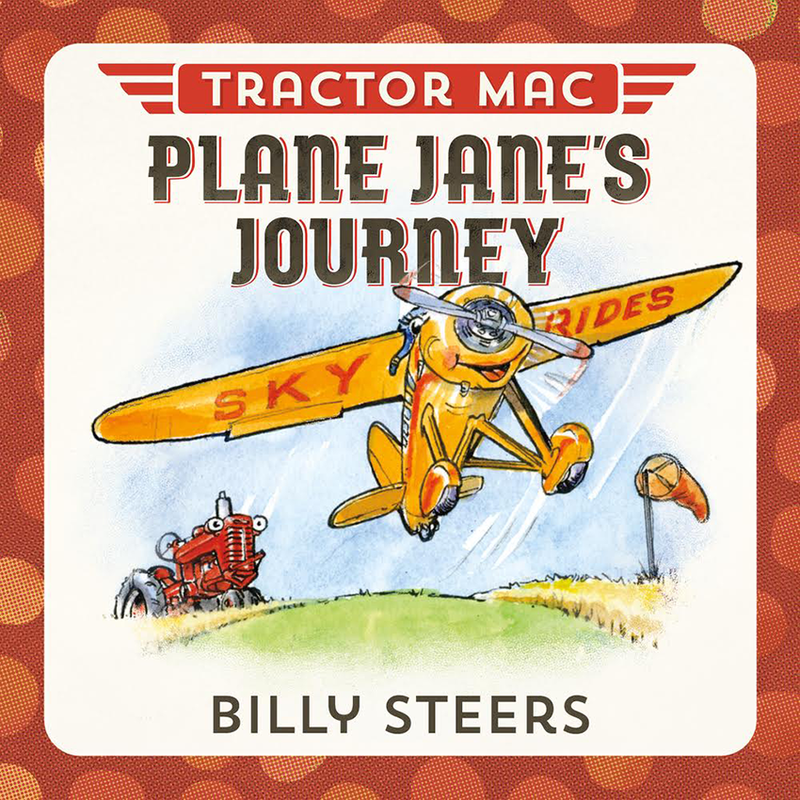 When Tractor Mac sees Plane Jane swooping through the clouds, he wishes he could fly too. 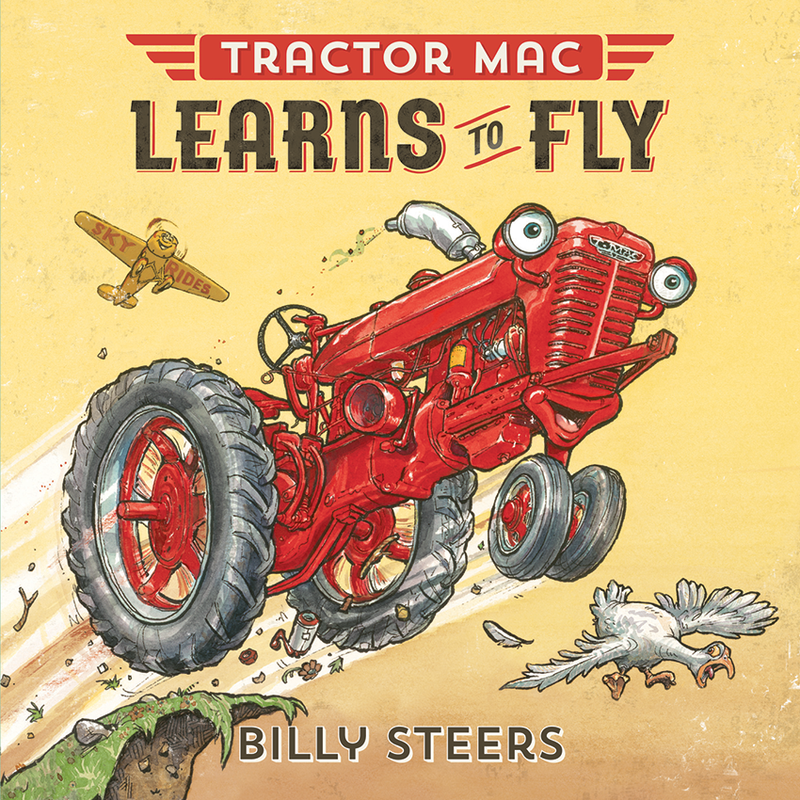 But when his attempts at flying don’t go quite as planned, Tractor Mac learns to appreciate himself just the way he is. The pigs, Pete and Paul, are eager to help Farmer Bill grow the best and biggest watermelons so he’ll win at the annual Fruit and Vegetable Show, but their overzealous efforts to help the melons grow faster end up destroying the entire melon patch. 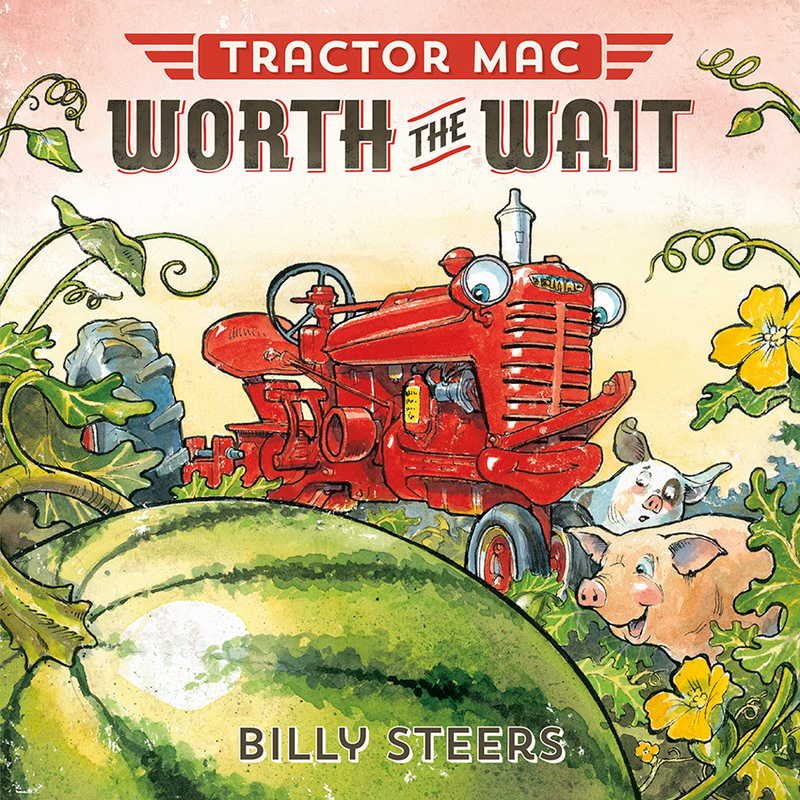 Tractor Mac and friends teach Pete and Paul that with patience and care, they too can grow a prize melon. Sibley the horse lives on Stony Meadow Farm and is a hard worker the whole year round. 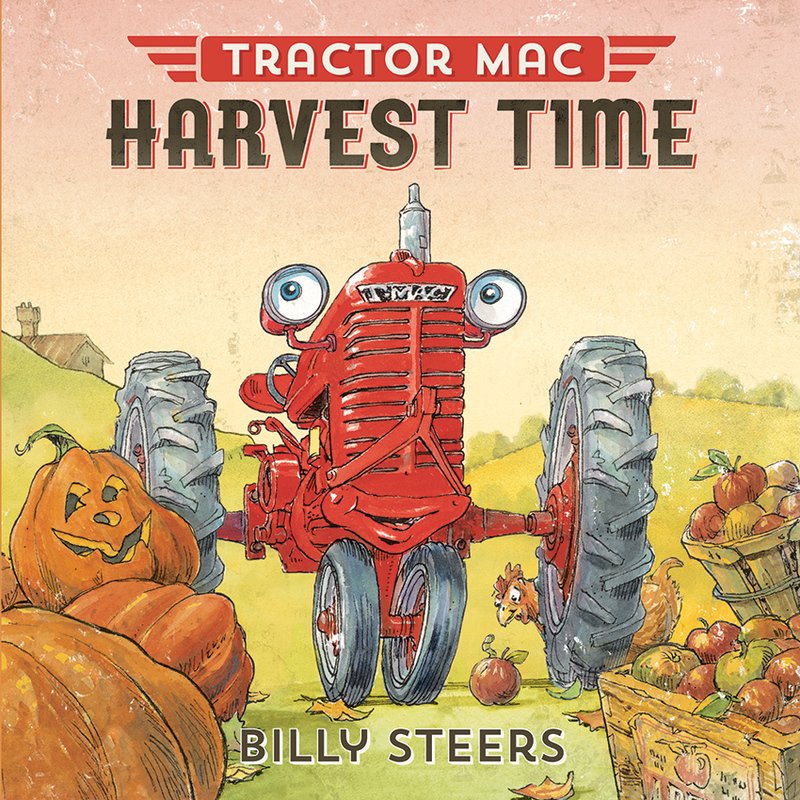 Then, Tractor Mac arrives and suddenly, everything that Sibley used to do, Tractor Mac now does! Sibley wonders if there is any job left for him. Join Tractor Mac and Sibley as they learn how there’s no such thing as too much help! 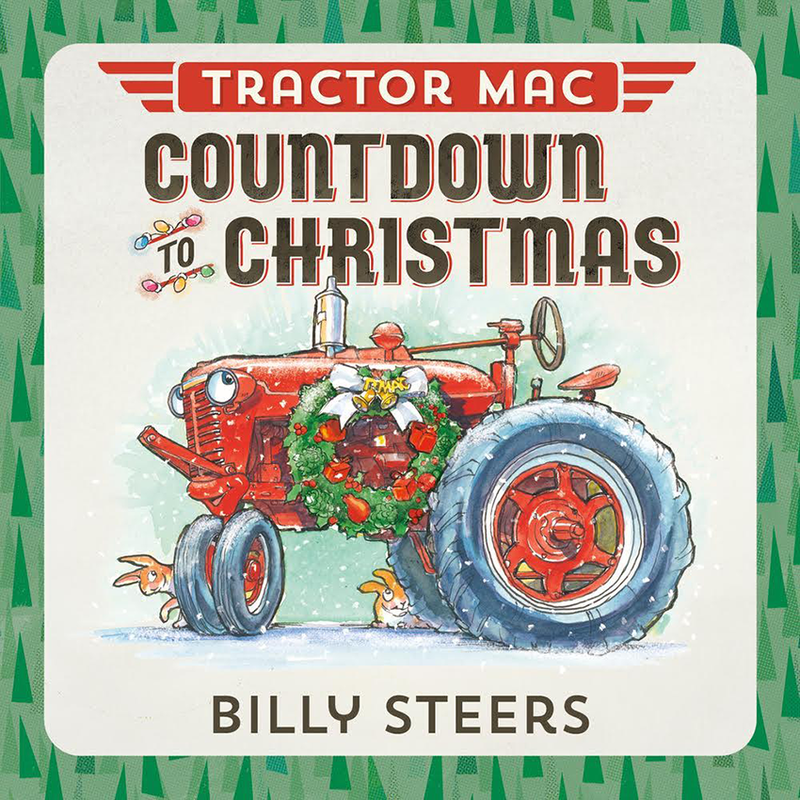 Tractor Mac is ready for the tractor pull contest at the county fair, but when Big Deke, the reigning champion, shows up, Tractor Mac realizes just how tough the competition is going to be. 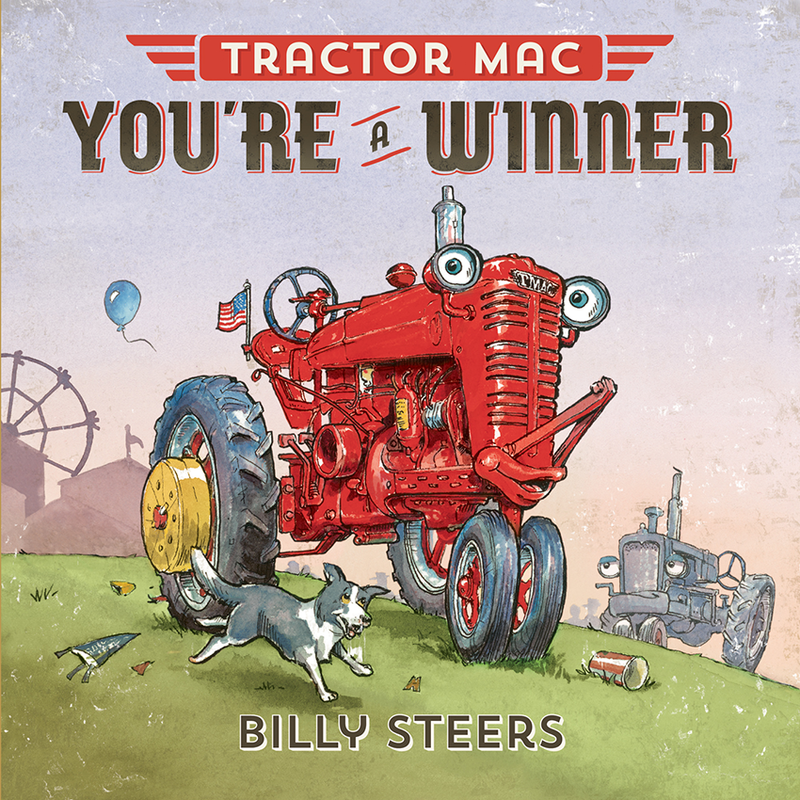 Join Tractor Mac as he learns about what it means to truly win! Tractor Mac is used to driving across the fields-after all, what good are wheels if you can’t use them? So, he’s disappointed when Farmer Bill parks him to run a sawmill while his friends are busy with chores on the farm. 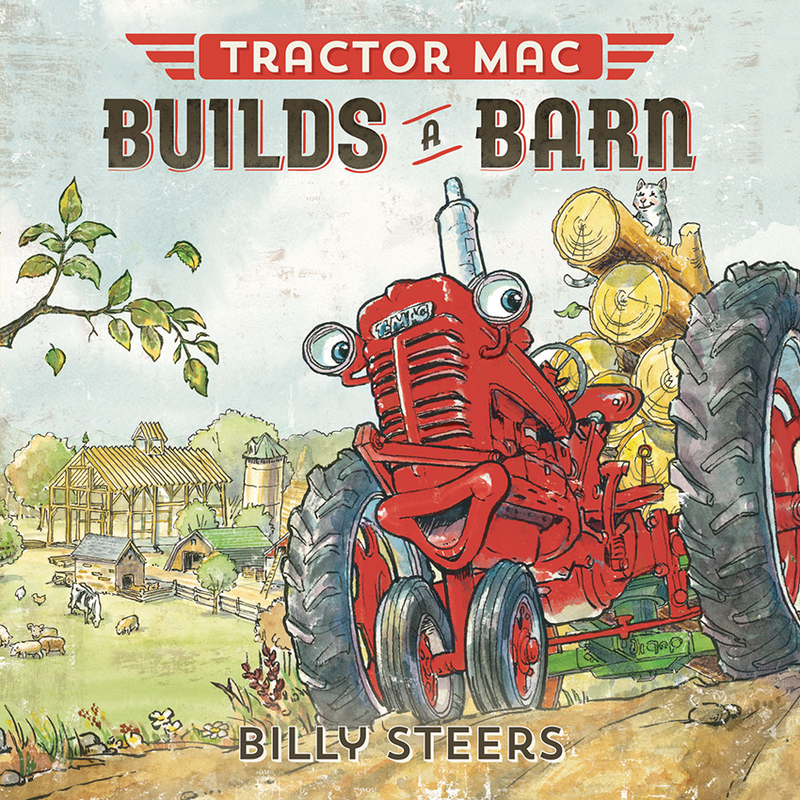 When Farmer Bill finally unhooks him from the sawmill, Tractor Mac finds out that he has helped raise a whole barn! When the nights start to get cooler and the corn is ready for picking, it’s time for autumn fun at the farm! 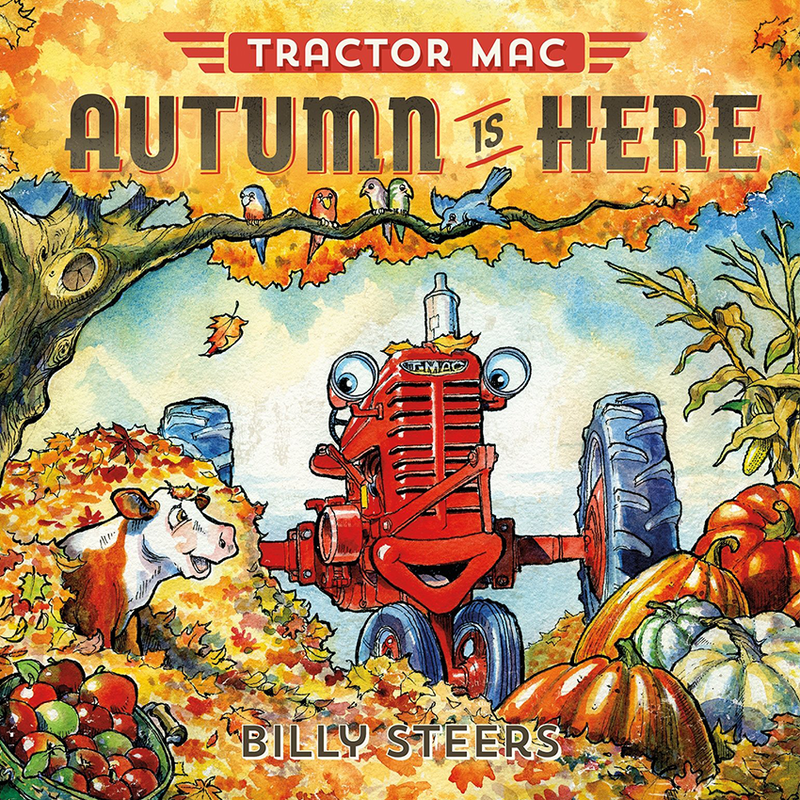 Tractor Mac loves the fall, but he’s just too big for the orchard, where he is stuck harvesting apples that Farmer Bill will make into delicious treats. 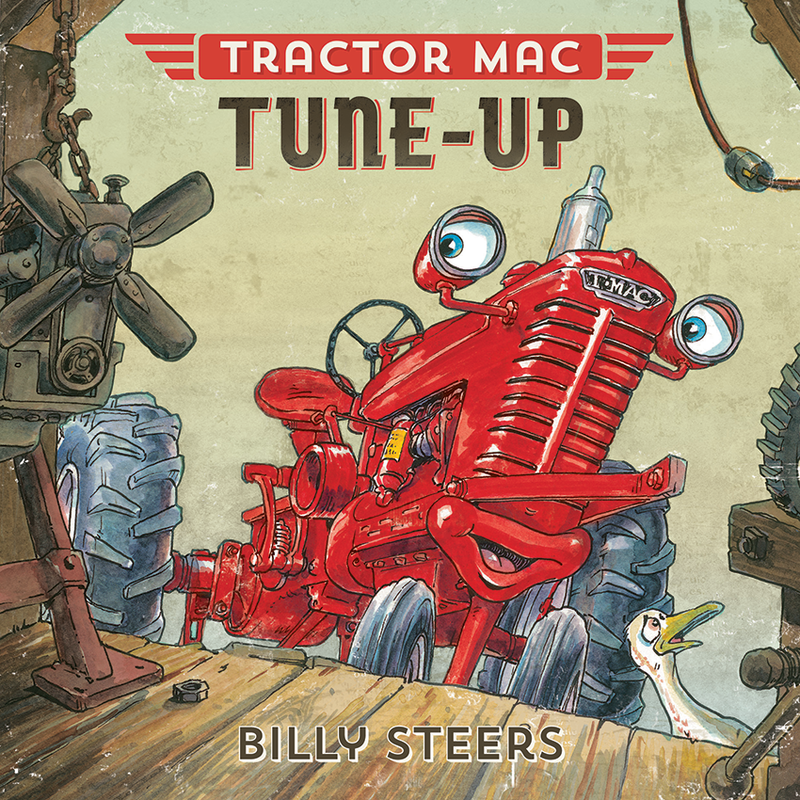 With the help of Small Fred, Tractor Mac learns how to share the work and share the fun! Every year, the whole town looks forward to the Christmas tree lighting, but this year a blizzard has struck. The snow starts to fall more heavily and soon Tractor Mac and most of his pals are snowed in at the barn. 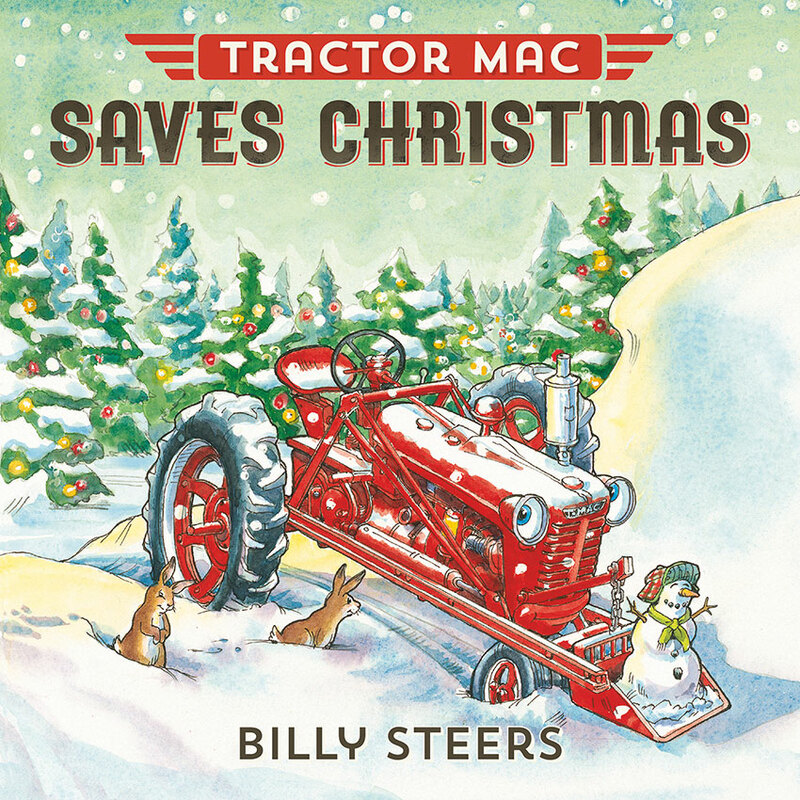 It’s up to Tractor Mac to save them and the whole holiday! There are so many great floats in the town parade: the Young Farmers’ Club, the Sport Team, the Outdoor Club, and more. Tractor Mac can’t wait to see which one he gets to pull until he finds out which one. 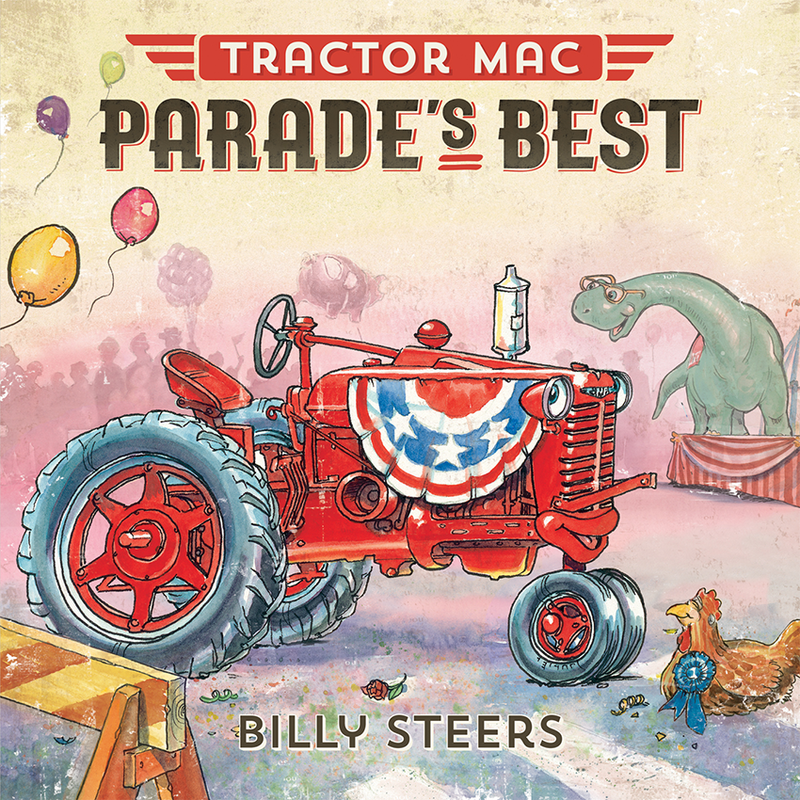 Join Tractor Mac as he learns about pride and what it means to be Best in Show! Pete and Paul the pigs, love food, especially snacks and sweets. But, Tractor Mac knows that there is a better way to eat and that it can even be fun, too. 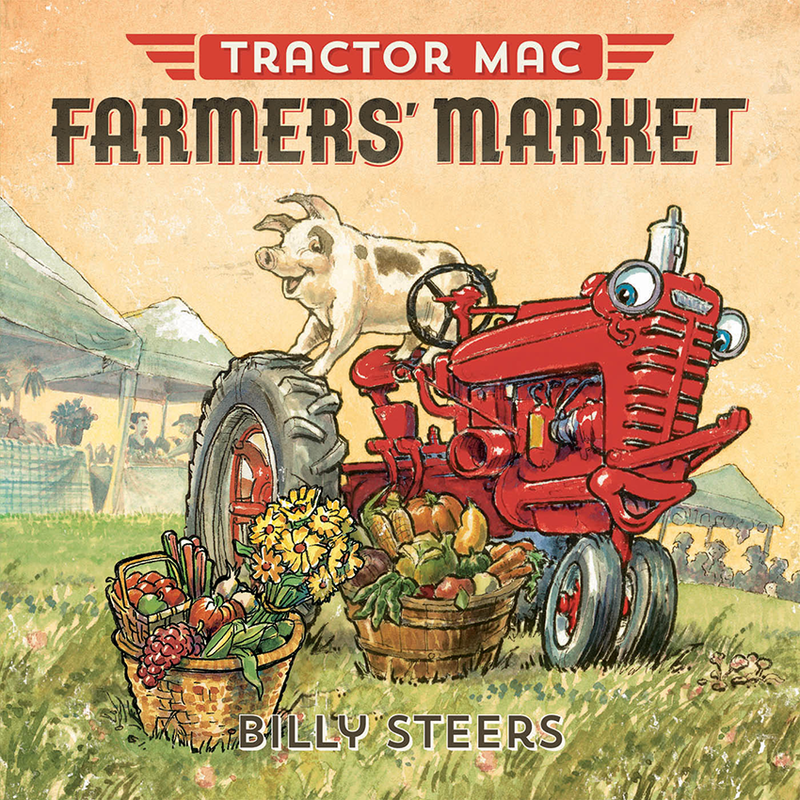 Join Tractor Mac and friends as they learn about what healthy and delicious food can look like! 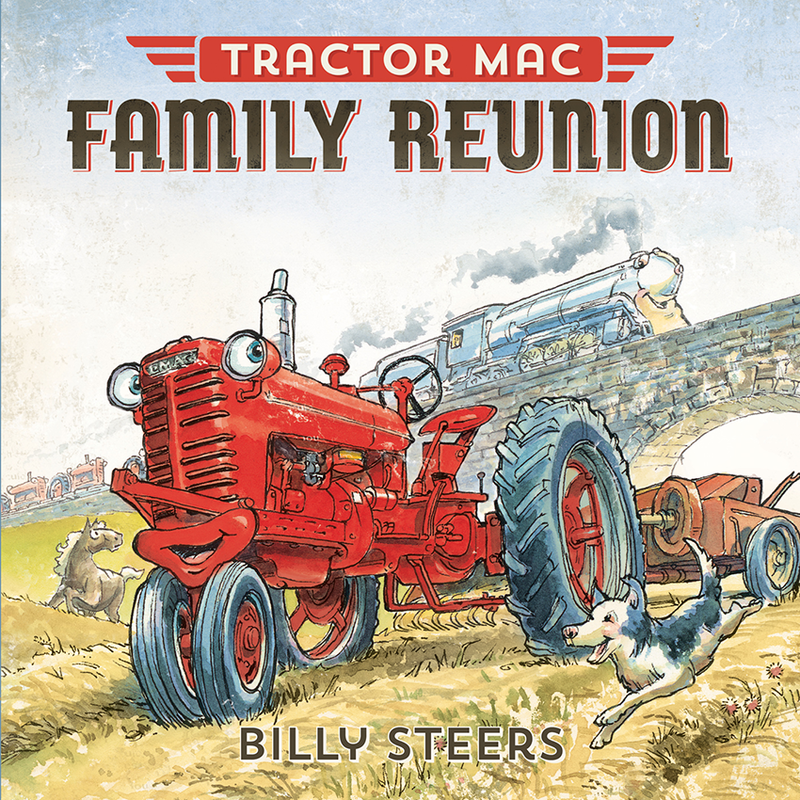 Tractor Mac loves being the only tractor in his farm family. Then one day, Iron Dave the train brings him to a tractor dealership and shows him a lot of big red tractors that look just like him. Are these tractors his real family? 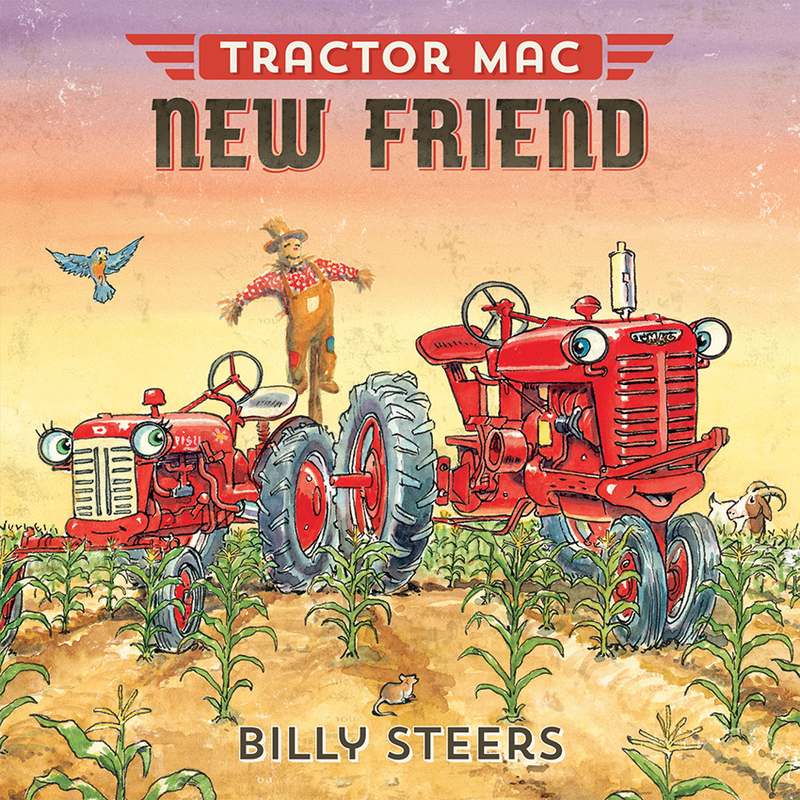 Join Tractor Mac as he learns about love, friendship and what it really means to be a part of a family. All the vehicles and animals on Stonybrook Farm are enlisted to help build a new swimming hole for their town’s residents. 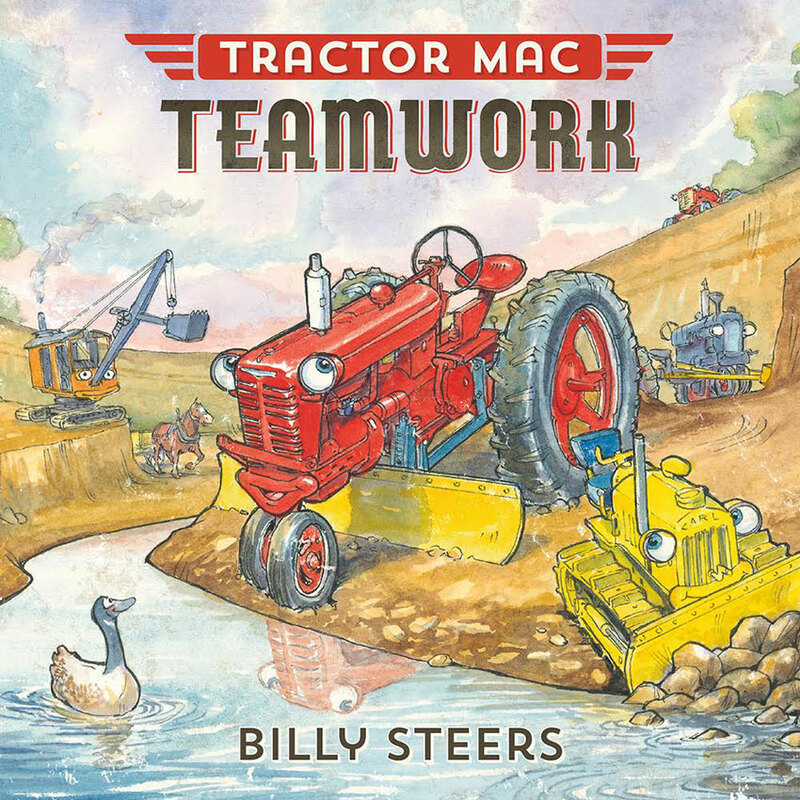 It is a big job, but Tractor Mac and his pals are willing to lend a hand. But a tractor named Deke thinks he can do it all by himself– and do it better than everyone else. He soon learns that a complex job is done best when each member of a team does his or her part. Betty the school bus has a rough first day of school. She missed some of her stops, didn’t signal properly, and lined up in the wrong spot for drop-off! Now, the other buses pick on her and don’t think she can do the job. 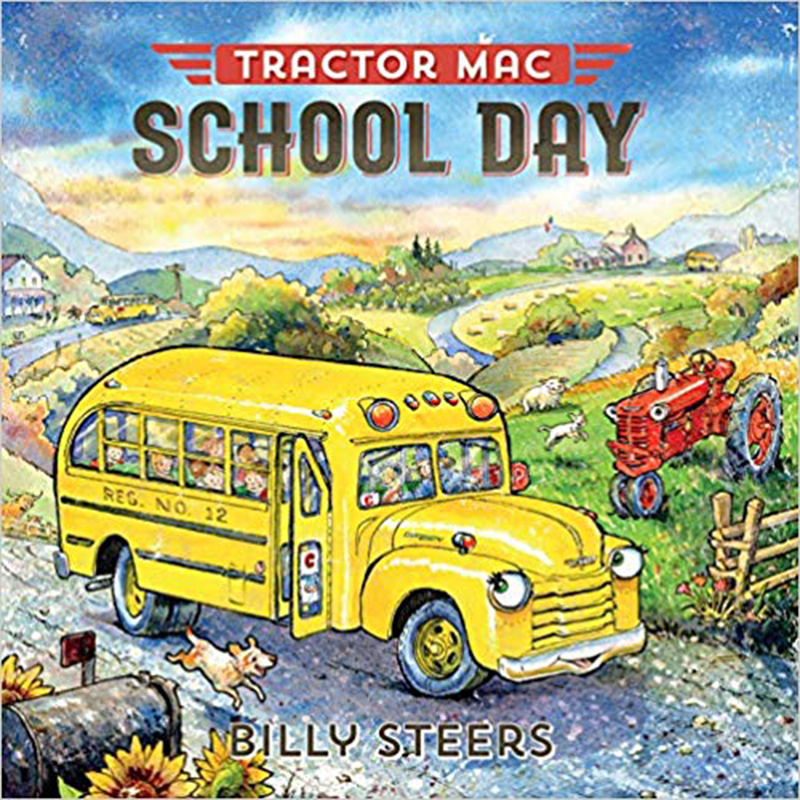 But thanks to Tractor Mac and her other animal and vehicle friends at Stony Meadow Farm, Betty learns that with a little hard work and support, anyone can overcome a bad first day of school. Fergus the calf doesn’t want autumn to come to Stony Meadow Farm. Not if it means the cornstalks are cut, the trees lose their leaves, and his bird friends migrate away. Why can’t things just stay the same? 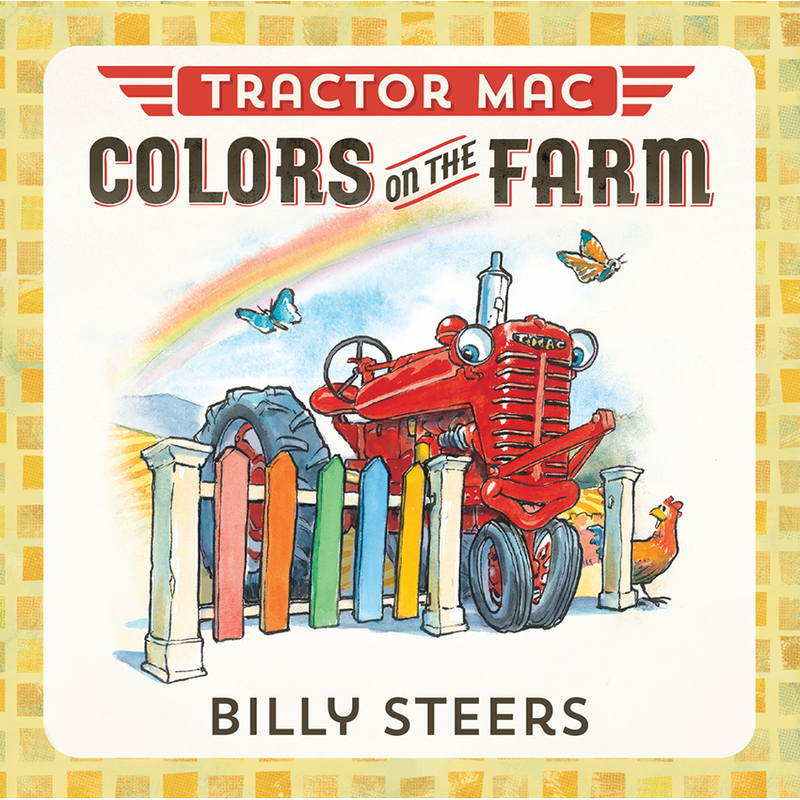 Tractor Mac and his friends show their love of colors by sharing all of the colorful things that can be found on the farm. Plane Jane loves to take trips. She soars over mountains and above city skylines. But at the end of the day, no matter how far she has traveled, she’s happy to come home and settle in with Tractor Mac and the other animals and vehicles of Stony Meadow Farm. 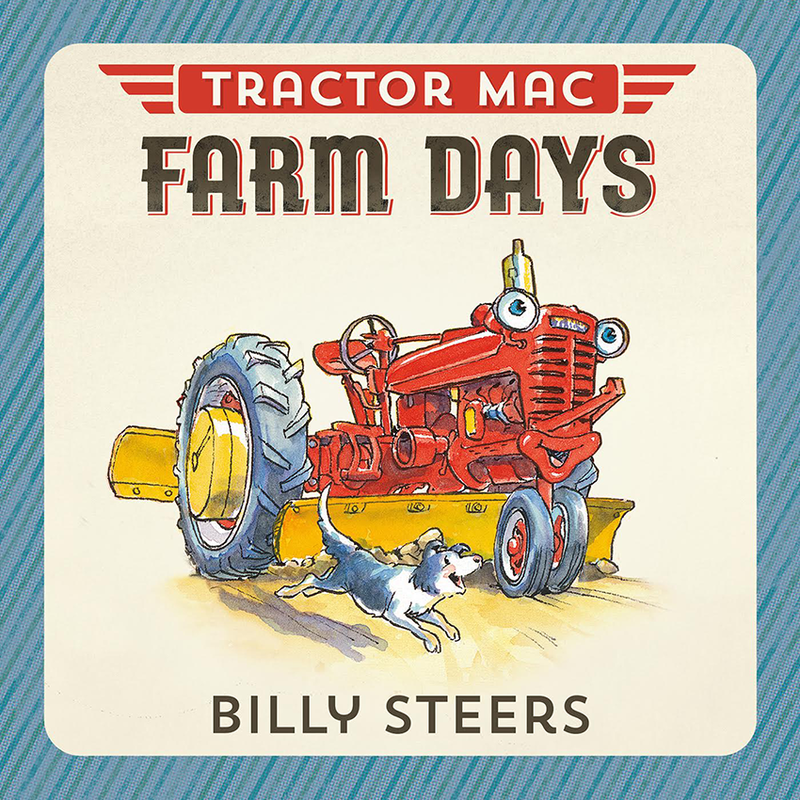 Join Tractor Mac on a day on the farm as he uses many different tools for his daily chores. 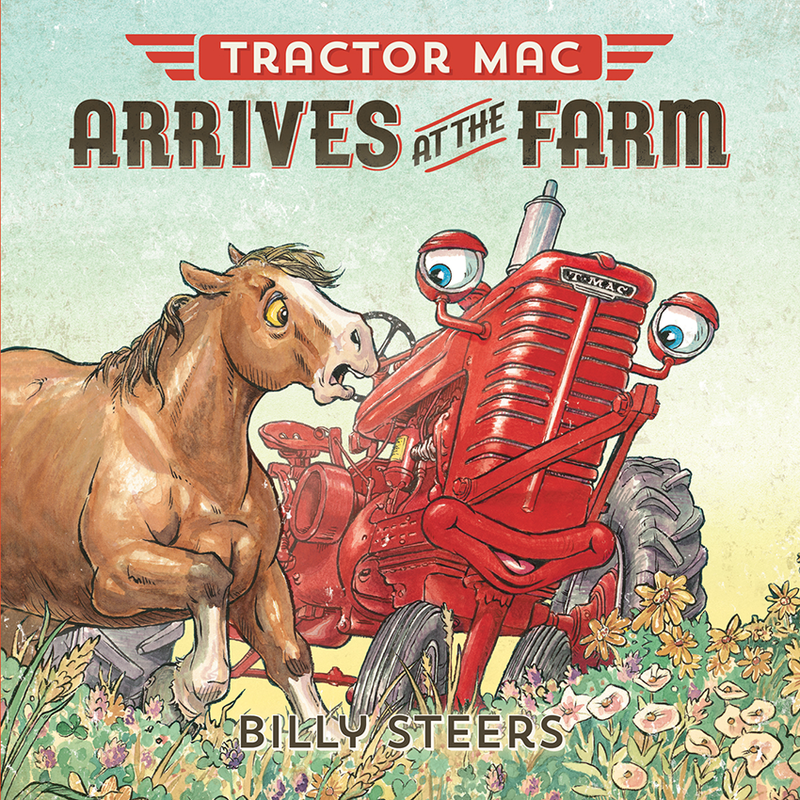 Brightly illustrated and easy to read text introduces the very youngest readers to Tractor Mac and his Friends. Oh no! Carla the Chicken has lost her ten chicks! 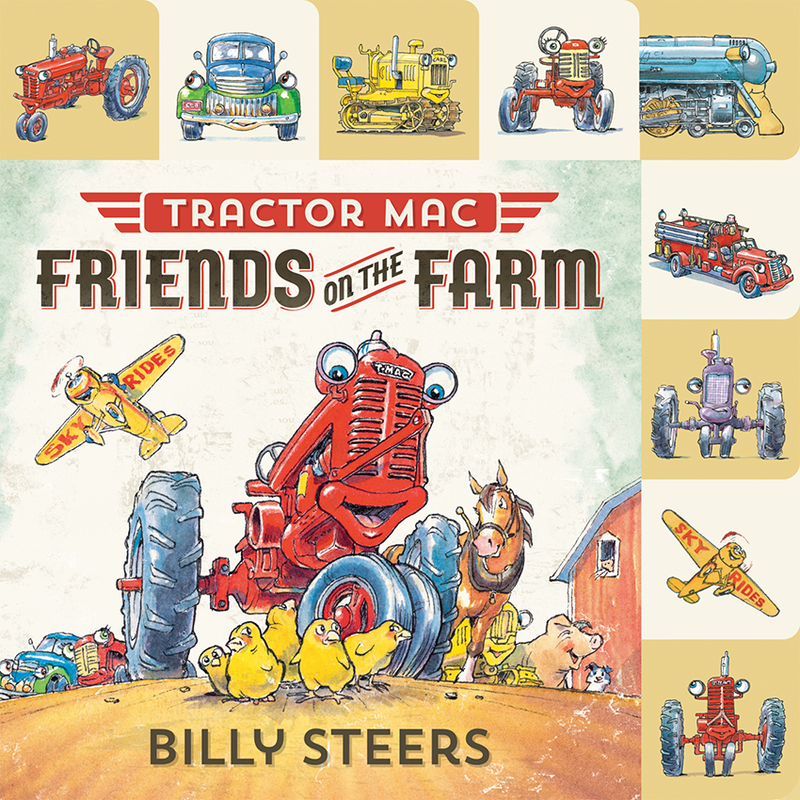 Come along with Tractor Mac and his vehicle and animal friends as he explores Stony Meadow Farm’s nooks and crannies to find the little chicks. With flaps to lift in every scene and easy-to-turn tabbed pages, this book is perfect for any farm, animal or vehicle lover. 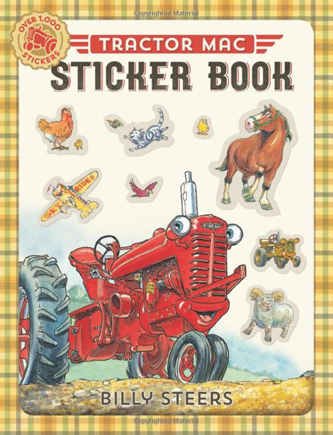 Young readers will love finding their way through mazes, adding animals to farmyard scenes, filling in missing puzzle pieces, and more–all with the help of plenty of stickers. Perfect for those who already know the series as well as any child who loves animals and vehicles, this full-color activity book is guaranteed to provide hours of fun. Over 1000 stickers!